People start to have wrinkles on their skin as they grow in age. Wrinkles are just like the fine lines that mostly appear on the face, neck, back of hands and on the top of forearms. 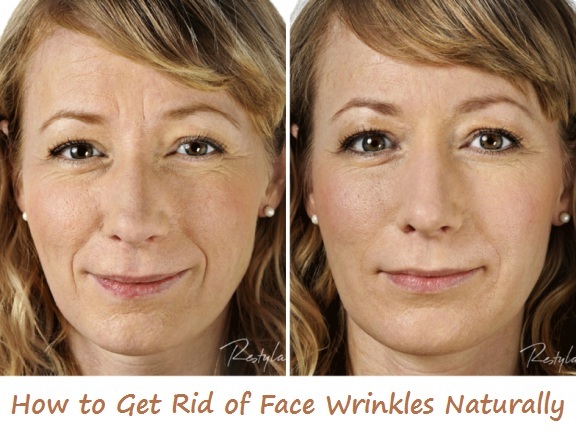 The main cause of wrinkles to be appearing is the thin and sagging skin. At the old age, it is natural that the skin loses or weakens its elastin and collagen in the connective tissue and thus become dull and dead with the weakened break down because there are some changings occur in the fibroblasts that are responsible for producing collagen and elastin. Some people feel premature wrinkles especially on their face and hands at the early age, this is because of the features like harsh environments, exposure to sun, smoking habits, using various drugs, stress, weight loss, deficiency of vitamin E, and genetic tendency. 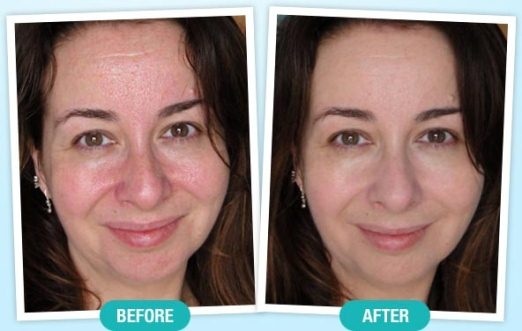 Instead of applying several kinds of products on the wrinkles, there are some home remedies that will help you in diminishing the wrinkles and will get it stop to form the new ones. Here are some of remedies. Olive oil is found to be the best oil for massaging the skin. There are present antioxidants, such as vitamin A and E, in olive oil that helps in fighting against the skin-damage free radicals. Massage olive oil regularly on the affected parts of your skin that will assure you to have the moisturizing, repairing and stimulating changes on your skin. Oil actually deep cleanses your skin and leaves it soft and moist. Your wrinkle-free skin will remain protected and moisturized for the longer period of time. Another thing that you can do easily is mix a few drops of honey with a few drops of olive oil and glycerin. Now massage your skin with this solution onto your skin twice daily. Due to this remedy, all the dead cells will be completely vanished. You also have an option to use coconut oil, emu oil, almond oil or vitamin E oil in the replacement of olive oil. 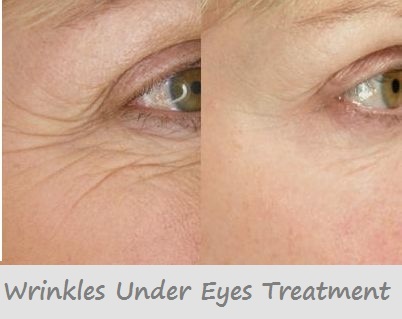 Fenugreek is also very powerful for reducing the wrinkles. The leaves, seeds and oil of the fenugreek is very best for this purpose. Fenugreek also gives treatment for the various different skin problems so for the wrinkles. Fenugreek leaves contain rich quantity of vitamins and minerals that can easily absorbed by the human body thus it indirectly reaches in your body and help your skin to get rid of wrinkles and fine lines. Take a handful of fenugreek leaves and grind them in the form of thick paste. Apply this paste on the skin where you find the wrinkles then leave it overnight. Wash it off with lukewarm water in the morning. Take some fenugreek seeds and put them in a pan filled with some water. Now boil this water for few minutes. Wash your face daily with this water or apply fenugreek oil on the wrinkles. In aloe vera plant, there is a substance present called malic acid which helps in decreasing the wrinkles and improves the elasticity of your skin. Cut an aloe vera leaf and extract the gel from it. Apply this directly on the skin and leave it for 20 minutes. Wash it off with lukewarm water. Another thing that you can do is mix one tsp of aloe vera gel with vitamin E capsule. Apply this solution on the targeted parts of your skin then leave it for 30 minutes. After that wash with warm water. Ginger contains high antioxidant content and thus it works greatly in treating the skin wrinkles. It stops the breakdown of elastin which is the main cause of wrinkles. Take some grated ginger and mix it with one tbsp. of honey. Make your habit of eating this mixture every morning. You can also prepare ginger tea and drink twice daily. Bananas contain the large quantity of vitamins, minerals and antioxidants. These properties found in bananas help in fighting against the causes of wrinkles. Take two ripe bananas and mash them in the form a thick paste. Apply this paste on the skin where you see the wrinkles then leave it for half an hour and at last, wash it with lukewarm water then apply a good skin moisturizer. Otherwise, you can prepare a mixture of one mashed banana and avocado with a little amount of honey in it. Apply gently on your wrinkles then leave it for 20 minutes then wash it off. Almonds prove to be an excellent source of fiber, vitamin E, iron, zinc, calcium, folic acid, and oleic acid. By combining all these substances and form a solution will delay the aging process. Take some almonds and soak in the raw milk overnight. Remove the skin of almonds in the next morning and grind them into a thick paste. Apply this paste onto your skin, also under the eyes to avoid the dark circles. Leave it for half an hour then wash it off with lukewarm water. You can also use the almond oil for massaging on your wrinkles to delay the aging signs. Carrots have a rich amount of vitamin A which generates the production of collagen and helps in making the skin smooth and supple. Boil three carrots in water until they start to become tender and soft. Blend them and add some honey in it. Apply this paste directly on the affected parts of your skin then leave it on your skin for about half an hour. Now rinse it off with lukewarm water. Another way you can use carrot is make a combination of equal parts of carrot juice and honey and apply this solution in the morning or evening. Now leave it for 10 minutes then wash it off. Lemon juice contains citric acid which acts as a strong exfoliate agent which helps in removing the dead cells from your skin. Lemon juice also works as a deep cleansing agent that will disappear all the wrinkles and other signs of aging. Take a lemon then cut it into halves then rub a little on your facial skin. Now leave it for 20 minutes then rinse it off with warm water. Do this remedy three times a day. Alternatively, mix one tsp of yogurt, honey and vitamin E oil and lemon juice. Spread the paste on your face then leave it for 30 minutes then wash it off. Apply the mixture of lemon juice mixed with amla powder onto your face to treat the wrinkles and aging process. Pineapples contain some types of enzymes which help in promoting the elasticity, moisturizer effect of the skin. Pineapple also gets some antioxidants, fiber and vitamins which boost the skin health. Take a pineapple flesh and rub it over your wrinkles then allow it to dry for 30 minutes then rinse it off with cold water. Apply the juice of the green pineapple on the skin daily for about five minutes only then wash it off. This remedy is also found to be good for treating the dark circles around the eyes. Drinking excess amount of water is the easiest and most effective home remedy for the best treatment of wrinkles. Water is necessary to drink because it keeps the body hydrated and helps in maintaining the moisture level of your skin. The hydrated body will naturally look older. Drink at least 8 glasses of water regularly but be sure to drink pure and filtered water. Unfiltered water cause damage to your skin because it contains traces of chemicals that are hard to manage by the body. Always remember to have a glass of water first in the morning because it kicks you to start your day. Do not forget to keep a bottle always with you because you feel need of water anytime in whole of your day. Strictly avoid alcohol and carbonated drinks. Do not go more in the sun exposure. Try to take less stress as it boost your body to generate the cells for aging skin. Avoid smoking because it can damage collagen and cause fine lines. Include vitamin C rich foods in your diet such as orange, pineapple, grapefruit, blueberries, broccoli, bell peppers, and spinach. Take foods that are rich in omega-3 fatty acids will help keep your skin glowing and younger looking. Try to get proper sleep and sleep on your back to protect from the wrinkles. Control your facial expressions like glancing that gradually start to turn into wrinkles and fine lines. 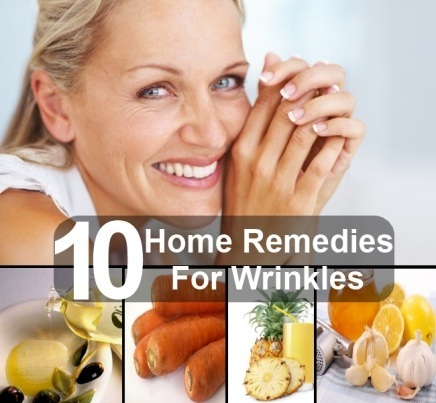 Aging is the natural process which leads to the formation of wrinkles and fine lines on the skin, but we assure that these home remedies will help you getting rid of this problem very soon. You can look younger for many years. Wow the after pictures look incredible.